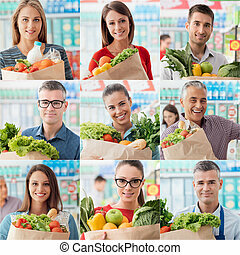 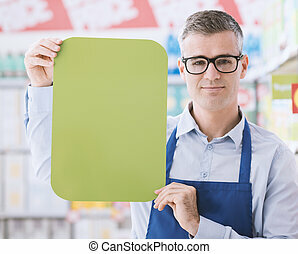 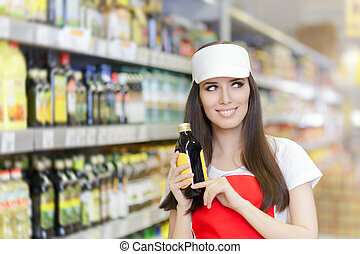 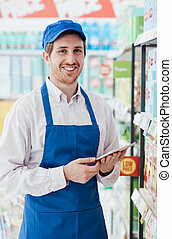 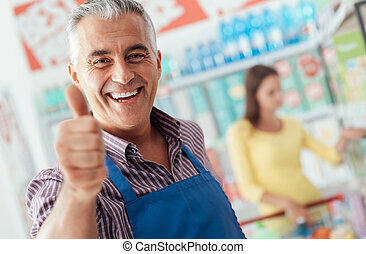 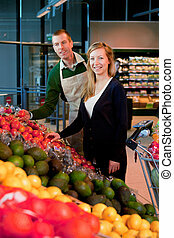 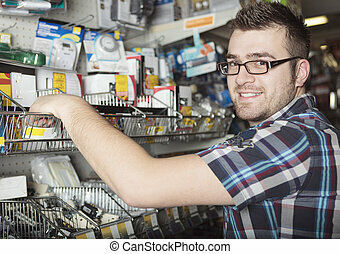 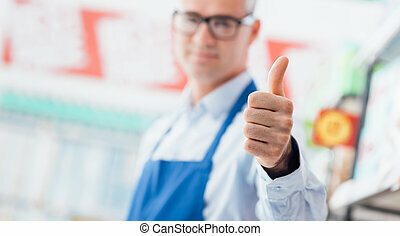 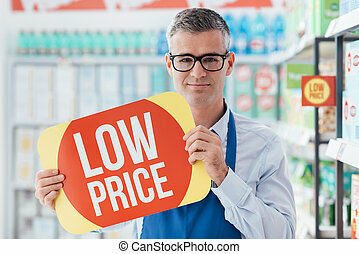 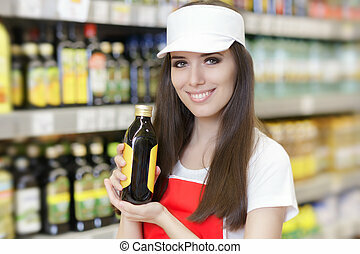 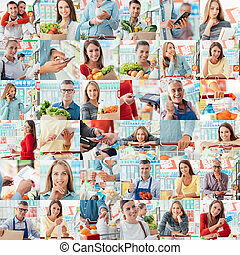 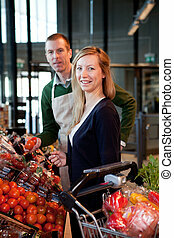 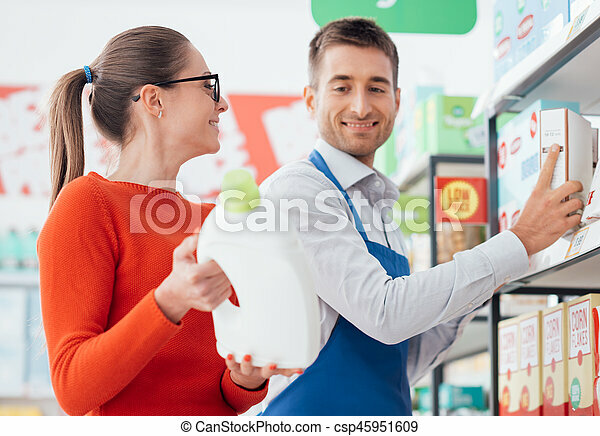 Supermarket clerk helping a customer. 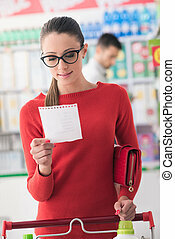 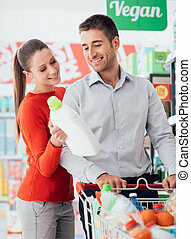 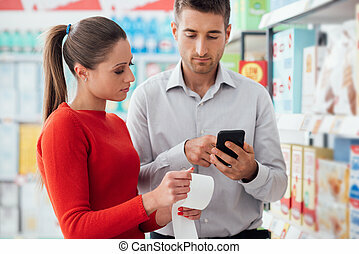 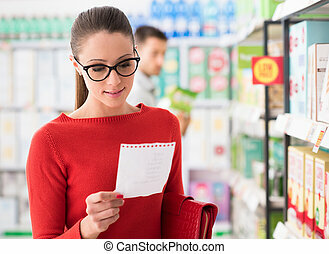 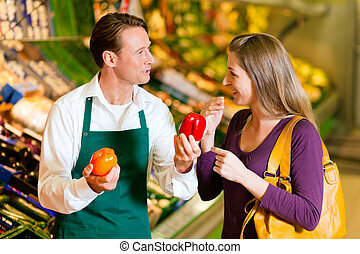 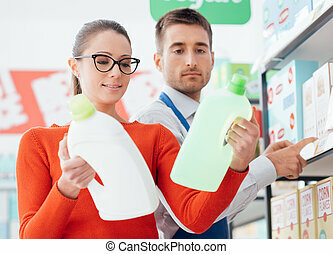 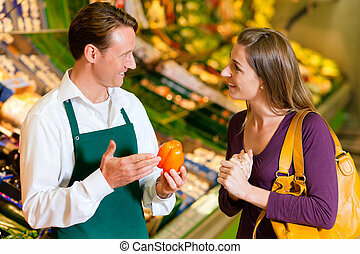 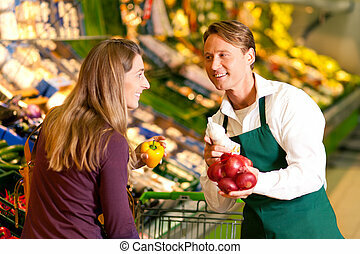 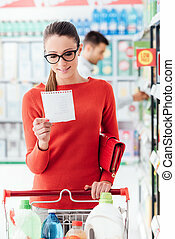 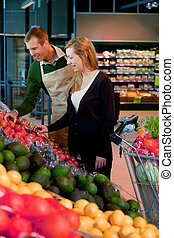 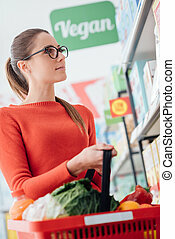 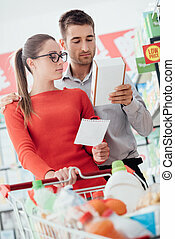 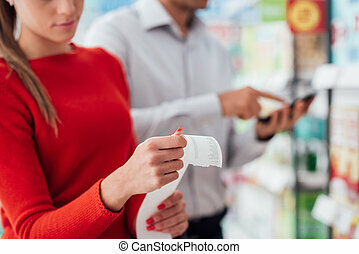 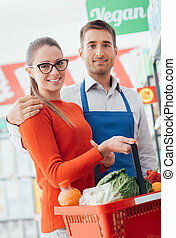 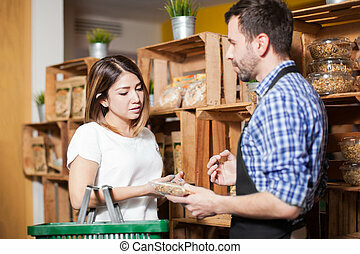 Professional supermarket clerk helping a customer, she is showing him a laundry detergent product. 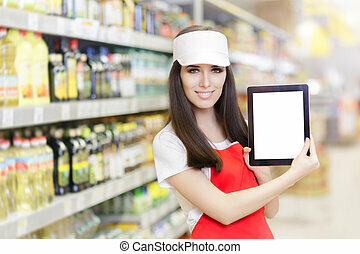 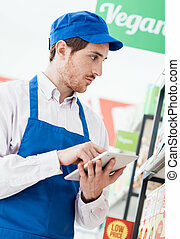 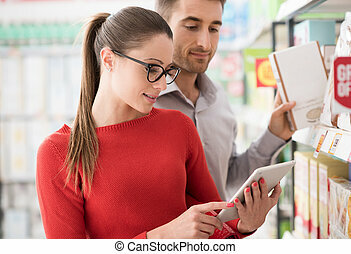 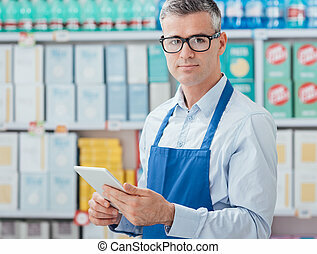 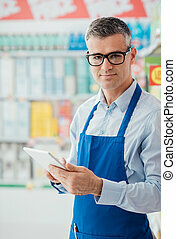 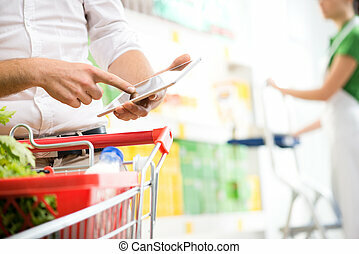 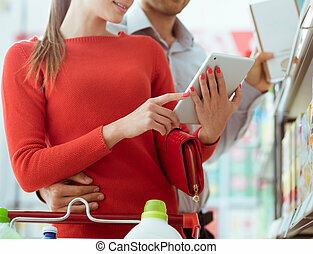 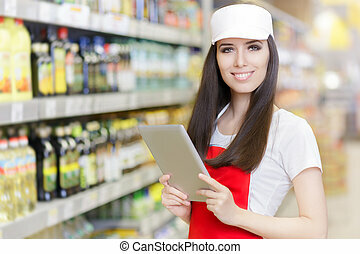 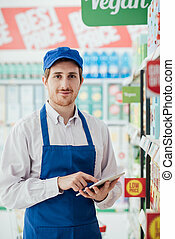 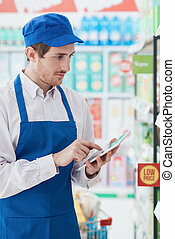 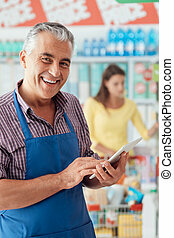 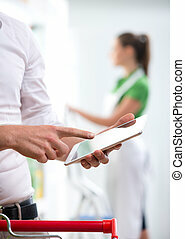 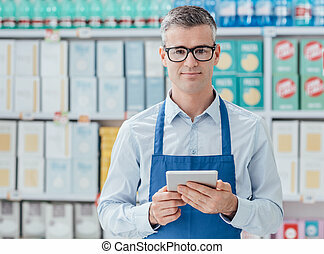 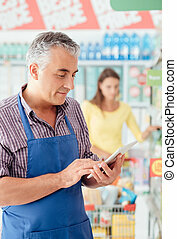 Customer using a digital tablet at supermarket with sales clerk on background.